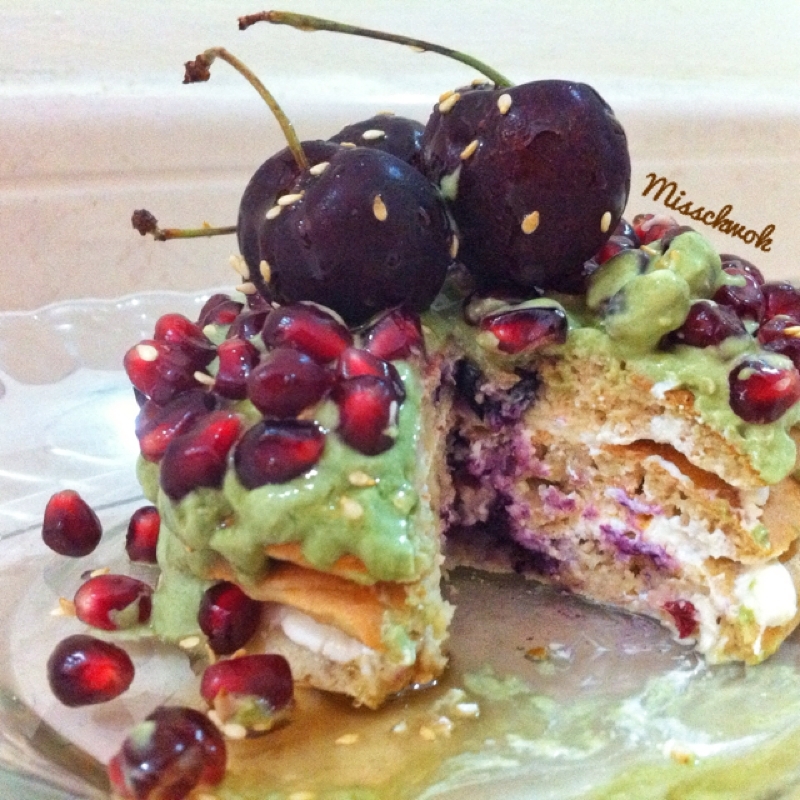 A twist from the usual blueberry studded pancakes, these decadent delights are served with a matcha cream, and incredibly tasty. Made not to share. 1. Combine 1st 6 ingredients. 2. Microwave blueberries for a minute. 3. Pour a little pancake batter onto a pan, scoop a bit of blueberry jam in the middle, and cover with more batter. Repeat for other pancakes. 4. Combine 1/4 c Greek yogurt, stevia and milk. Layer between cooked pancakes. 5. Combine remaining ingredients and pour on top of stack. Top with pomegranate arils, cherries, sesame seeds and SF maple syrup. Serve. Enjoy.